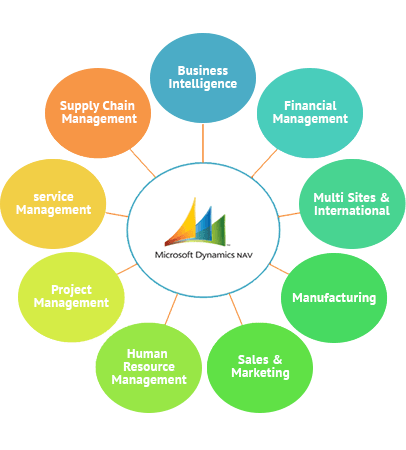 Microsoft Dynamics - a part of Microsoft Business Solutions that offers its services in companies with a significant focus on retail, finance, manufacturing and public sectors. It provides end to end implementation services in CRM, ERP or both. From last 10+ years, CMS Website Services is leading Microsoft Dynamics Business solution Provider in USA for business intelligence software, cloud solutions, data migration, enterprise software, inventory control software, warehouse management software, online inventory management, warehouse control system, business management solutions, manufacturing and distribution software. As a Microsoft Dynamics Solutions Provider, We offer Dynamics 365 Business Central, Dynamics 365 Finance & Operation and Dynamics 365 for sales Licensing and Services to maximize the investment. If you seek to upgrade your current software, let us help to provide you top-notch personal option by customization and development. We being an ERP Solutions Provider in the USA also lead as a CRM provider and go beyond the traditional software needs to provide a next-generation digital customer experience solution with Microsoft Dynamics suite. With Microsoft Dynamics CRM, we always guide our customers towards the betterment of the system, software and business enrichment. Furthermore, we commit to service excellence by implementing, enhancing, redesigning and web-enabling the core business process. Microsoft services innovate, transform technology, upgrade services and accelerate the journey of digital business and products. Its enterprise solutions mainly focus on satisfying the needs of organizations like businesses, schools, colleges, clubs, charities, groups, NGOs and governments. These solutions are aimed to improve productivity and efficiency by assisting in business logic and training. Here, CMS Website Services as a small and midsize business solutions provider has hit a single shot for six different services to reach every corner of the world. Being a successor to Microsoft Dynamics NAV, it is an ERP system currently leading as Dynamics 365 Enterprise Solutions Provider in North Carolina, USA. It’s an easy all in one ERP for all industries to connect their businesses globally and make smarter decisions. 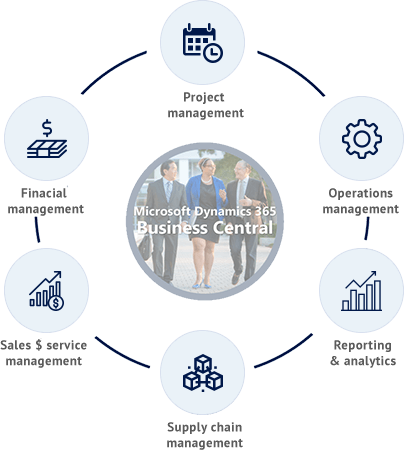 Microsoft Dynamics 365 Business Central implementation is widely used in finance, CRM, service management, HR management, and ERP for manufacturing / Inventory / Project management. With modern and intuitive features, it has a customizable user interface which is rich in functionality across all platforms like Windows, iOS, Android and Mac OS. Due to high investments in AI and machine learning, business central accurately predicts and recommend next steps like a business mentor to get benefits. 3rd party product integration is also possible with it to meet the unique business needs. At CMS Website Services, we provide a customer-centric approach after analyzing your requirements and make a blueprint of needed services that ideally match your business. It is a Microsoft ERP system dedicated to medium and large organizations that majorly work on business operations and financial decisions. It gives you real-time information, streamlines day-to-day operations and gives assistance more effectively. Dynamics 365 F&O Implementation & Services is available as a unified part of Microsoft PowerApps, Dynamics 365 for retail and talent. Being a Cloud-based application, it works well with Microsoft edge and gives you complete control over the local and global business data. Eventually, it takes advantage of real-time to connect operations and process via this easily adaptable platform. 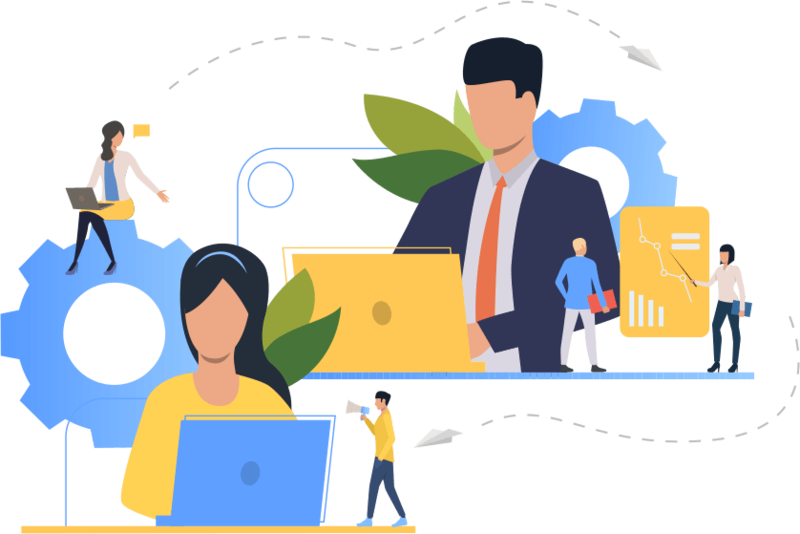 We are a certified Dynamics 365 Finance and Operation Consultants who proactively identify the issues and do a real-time diagnostics in order to accelerate growth. Microsoft’s business analytics service: Power BI is a Cloud-based desktop application that automatically discovers data, visualize it and create data reports for end users. This robust and enterprise software works on real-time analytics on Windows, iOS and Android devices. Power BI help designers, consumers, developers and administrators to complete their tasks on time. All industries take care of authentic data and sometimes you even face challenges while going through the data. However, this intelligent app is successful in overcoming the situation while keeping the data fresh and informed. 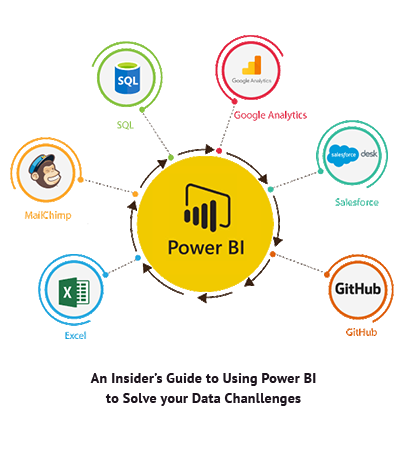 We as a Power Bi Service provider in Raleigh, North Carolina, USA have a hands-on experience in integrating Microsoft Power BI into your organization BI strategy. Our enterprise solutions experts help you in planning, designing and developing data-driven dashboards with continuous support and training. NAV (Navision) is Microsoft’s ERP app for midsized organizations to serve various vertical markets. Microsoft NAV is one of the best selling midmarket ERP software product in the world. The simplified and intuitive user interface let the users develop the homepage individually as Role Center. Moreover, it also helps in generating reports and monitoring KPIs while optimizing and standardizing the critical business process. We as Dynamics NAV service providers customize, integrate and implement to provide quality service at an effective cost within the time limits. It supports different programming languages, frameworks and tools to build, test, deploy, manage applications and services through Microsoft’s Data Centers. Application development for Dynamics 365 is possible with Azure services as it creates smart apps to get a global reach. If your data is as big as a city, then you definitely need Azure due to its productivity, hybrid and trust among businesses. If you are facing business challenges in sectors like healthcare, retail, financial services, government and manufacturing, then Azure is a top-notch, scalable and a cost-effective solution. Our team is full of qualified Microsoft experts that understand the Azure management portal according to your business needs. 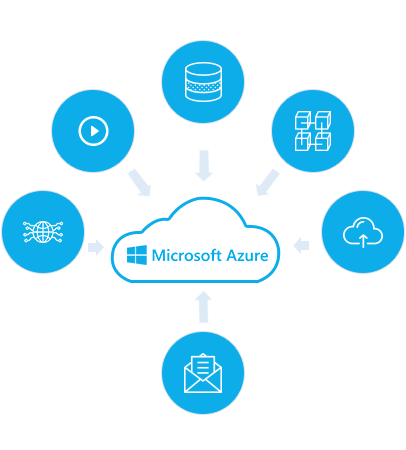 As an Azure Cloud service provider, we offer cost benefits and helps in building an IT infrastructure to support and grow your business. 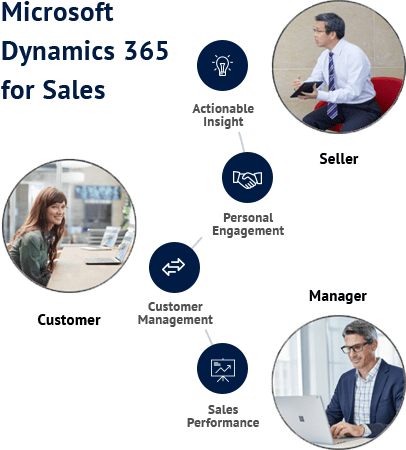 Dynamics 365 for sales allows you to make strong relationships with the customers such that you can take actions for better customer engagement. It helps you to keep a track on accounts, contacts, leads, orders, campaigns, etc. It also helps in creating marketing lists, tasks, conversions and predicts profit and loss from sales. The user interface of this enterprise software is fully featured with customizable modules and packages that run on any device. 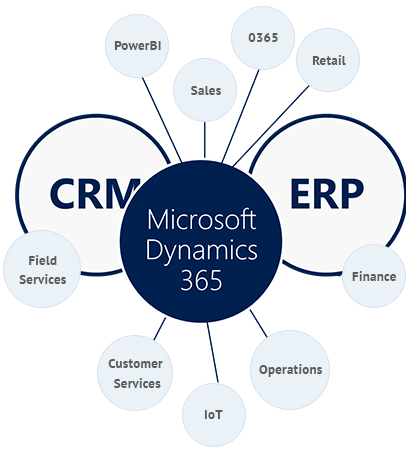 If you follow the guided business process based on real-time analytics, then Dynamics 365 for sales and marketing offers great benefits in ERP and CRM system. We with 10+ years of experience in Dynamics 365 Enterprise Solutions Provider define new strategies and supporting technology to make the business work. We have more than 100+ international clients and customers in the USA, UK, Australia, India, Singapore, etc. By using the information we bring life to your business and use new technologies to stay competitive in the market. We mainly focus on technology, therefore always replace software products with the newer version and latest updates. We have a comprehensive approach, clear development plans, and risk management plans to work as an established global Microsoft Dynamics service provider. Use of tools, Add-ons, ERP Software with AI and machine learning increases your business intelligence and decision making. 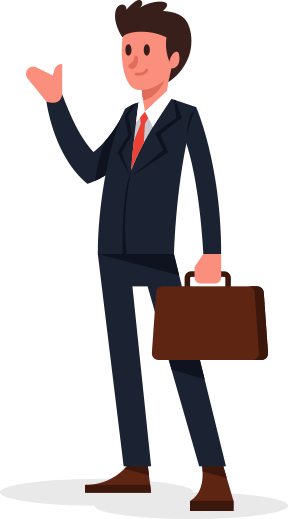 This is our high-quality service where we provide complete business analysis to our clients and takes care of transparency and disciplinary terms. We deal in all kinds of the latest services and technology to find out all solutions to the problem in security and performance. We take care of other 3rd party apps, tools, and extensions, always try to integrate them with our ERP Software to add extra features and functionalities. We offer you the best innovative, interactive, attractive and user-friendly portals that can be accessed anytime anywhere on any platform. Though we have our own experienced team, we do IT staffing and outsource teams based on skills for clients and project. We augment staff, outsource it, but also provide our own staff on a contract basis to other business enterprises and companies. CMS Website Services analyze the project, prepare blueprint, documents, starts preparation, make it live and finally provide support and maintenance 24x7. We put an ERP system with greater functionalities that function well in real-time to help in business correctly. To make software products more functional and interactive, we add Microsoft tools to implement software in better ways. Create, manage and deploy mobile reports with easy ready-to-use tools as SQL Server reports. In support of our development services, we sign a yearly maintenance contract with our clients to provide 24x7 support services to them. CMS Website Services, a leading application development company in USA for mobiles, web, and cloud always focus on innovation.